This incredible routine begins with you holding two separate ropes. One blue rope and one yellow rope. A knot is tied in the Yellow rope. Then, like magic, the yellow knot JUMPS OFF of the Yellow rope and onto a blue rope! Next, you slide the knot COMPLETELY OFF then VISIBLY toss it back onto the blue rope. Just as your audience is picking their jaw off of the floor, you untie the yellow knot from the blue rope... The BLUE Rope NOW has a permanent yellow section from where it was untied! To top things off, you toss the ropes out to be inspected!! 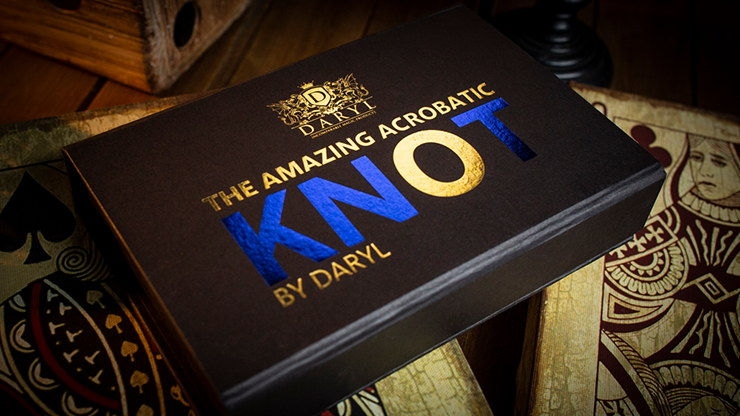 For decades, DARYL has featured this incredible routine in virtually every show he's performed. In dedicationto this esteemed master Magician and teacher, Gregory Wilson has added his personal, updated routine, insight and handling to this classic effect! Gregory Wilson's personal routine and full handing instructions (Online)!